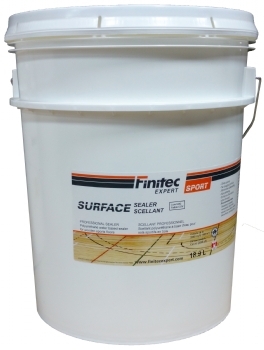 SURFACE sealer is specially designed to be used with the Finitec Expert finishing system for wooden sports floor. SURFACE SEALER creates an excellent build and offers good flexibility to meet the standards for sports floor. It enhances the natural color of wood. SURFACE SEALER is part of a complete finishing system for wooden sports floor ensuring compatibility and performance.